An 8 x 22 rectangle car sign shaped full color magnet can be serve advertisers of all genres who wish to promote their business in a unique way. 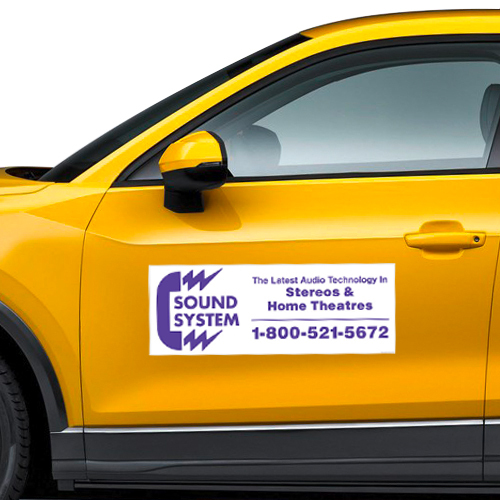 This magnet can be easily customized with brand specific information such as the logo, contact details and others in any color of advertiser’s choice. This magnet can be utilized by all types of advertisers due to its elegance and simplicity. Advertisers seeking it in large numbers can get it customized with business information against a payment of $5.10. Product Size : 8 in. x 22 in.